 Kimberley has the most restaurants per capita in Canada. Our region is backed by a successful mining industry. In fact, it was prospecting and the promise of wealth that brought people here in the late 1800s. They, of course, are long gone, but the image of that successful mining entrepreneur is still clearly visible. Five of the world’s top metallurgical coal mines (coal used for steelmaking) are within close proximity to the Cranbrook-Kimberley Development Zone. In addition, there are numerous mineral mines and rock quarries. You’ll also find several artisanal gold operations in the pristine and resource-rich mountains surrounding our two communities. With competition low and opportunities high, our region is primed for and in demand of heavy equipment repair and manufacturing facilities as well as research and development services, information technology and other support to this flourishing industry. Major highways, including the Crowsnest Highway, form direct links to local mines and further connect our region to Canada’s transcontinental federal-provincial highway. Shipping and receiving is made easier, thanks to the nearby Canadian Pacific Railway and the Canadian Rockies International Airport, which offers daily flights to Calgary, Vancouver and Kelowna. Canada’s largest trading partner is just an hour away and we are just a few hours from Alberta’s third largest municipality. An experienced and motivated workforce, coupled with tons of available land inventory, means you’ll have no problem finding good employees and an affordable place to base your business – whether it’s a warehouse, design and engineering plant or head office. Our region’s award-winning College of the Rockies boasts a robust heavy mechanic program and a burgeoning heavy equipment operator program. By choosing to do business here and now, you’ll be setting yourself up to benefit from future sector growth. Then, there’s the lifestyle. Picture yourself coming home from a busy work day and being only a stone’s throw from the largest municipal nature park in B.C. as well as eight different golf courses, 80 downhill ski runs and some of the best hiking, biking and fishing opportunities in B.C. It is here that you can hike to 2,346 metres, recharge on fresh mountain air and still be home in time for those end-of-day business tasks. Managing business from work or home is seamless as our region is covered by speedy fibre optic internet. Hosting shareholders and networking? We have several impressive conferencing facilities.